Who doesn’t love a good happy hour? Winding down at the end of the day with friends, enjoying drink and food specials, is something that just about everyone can get excited about. Pau hana, a Hawaiian phrase that literally means “after work,” is used interchangeably with “happy hour.” So if you’re meeting friends or happy hour, but your server is telling you about the pau hana specials, you’re in the right place! Kailua, the popular beach town on Windward Oahu, has a wide variety of restaurants offering everything from sushi to burgers to cuisines from around the world, but it can be hard to find a place that does a good pau hana., Whether you’re heading home from work in downtown Honolulu, need some sustenance after surfing, kite surfing or paddling in Kailua Bay, or are on vacation and want to go where the locals go, here’s a breakdown of Kailua’s best happy hour spots. 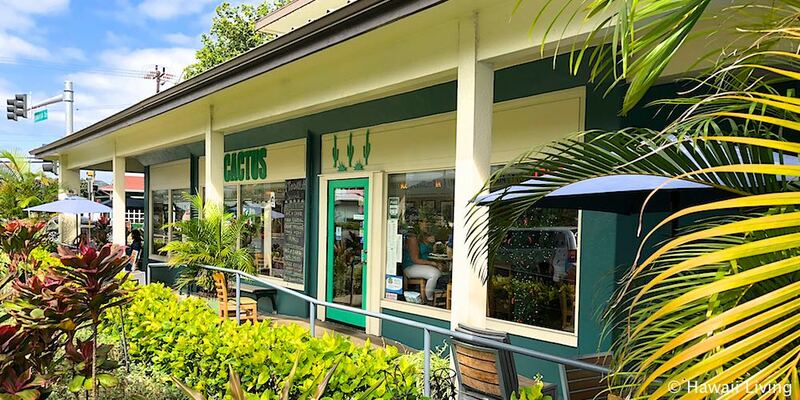 Cactus, located at the entrance to Kailua Town, has happy hour specials every day from 3:30-5:30 pm. The restaurant specializes in dishes from Central and South America and incorporates fresh, local ingredients. Their happy hour is especially popular due to the great food and drink specials, which can be enjoyed in the main dining area (inside and outside seating) or at the bar. Enjoy $2 off heir famous frozen margaritas and sangrias, as well as a swirl combination, and $2 off select wines by the glass, Dos Equis and Negra Modelo. Special pricing on tapas like Argentine Fry Bread, Squash & Goat Cheese Croquetas, Local Fish Tacos, and Pork Chorizo Sliders make ordering a variety of plates a no brainer! Nico’s Pier 38 in Honolulu has been an established fish market and casual lunch spot for decades. Their second location, open in Kailua since April 2017, serves lunch and dinner in clean, open setting with great views of one of Kailua’s canals, and also serves a selection of fresh fish and poke options at the fish market in house. Their daily happy hour offers $4 draft beers and $4 off glasses of select wine. Enjoy a pau hana drink at the bar before digging into one of the may fresh fish dishes on the dinner menu! 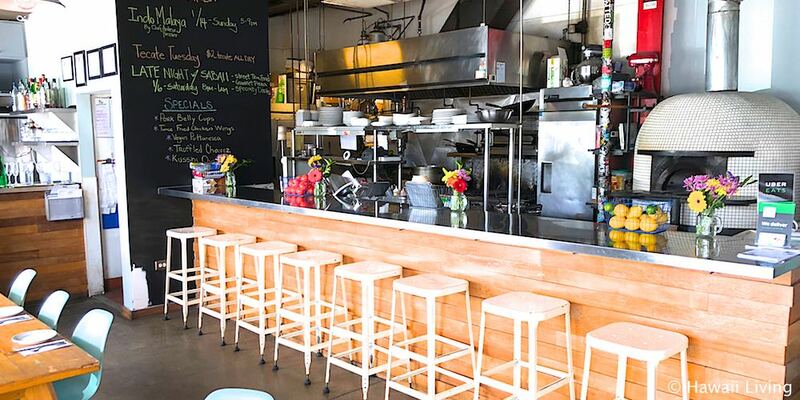 Prima specializes in handcrafted pizzas cooked in their brick oven fired with local kiawe wood. The menu also features a variety of salads and side dishes, all perfect for sharing, and all incorporating locally sourced meats and produce. 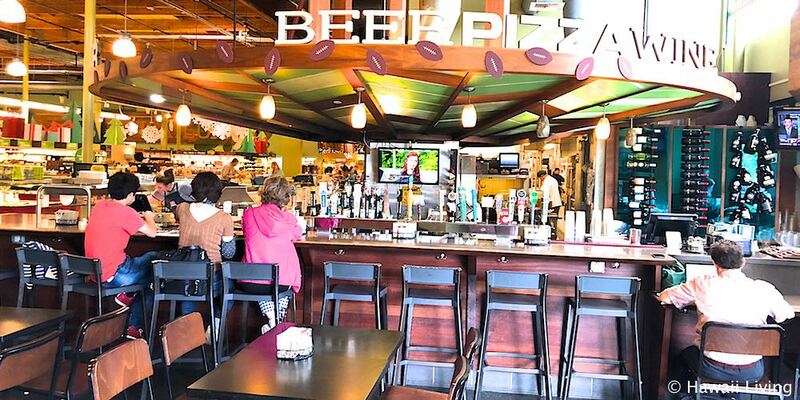 The daily happy hour goes from 3:00-6:00pm and includes $3 beers, $5 wines and cocktails, and $4 off all pizzas. There’s also a late night happy hour from 7:30 – close on weekdays and 8i:30-close on Friday and Saturday. 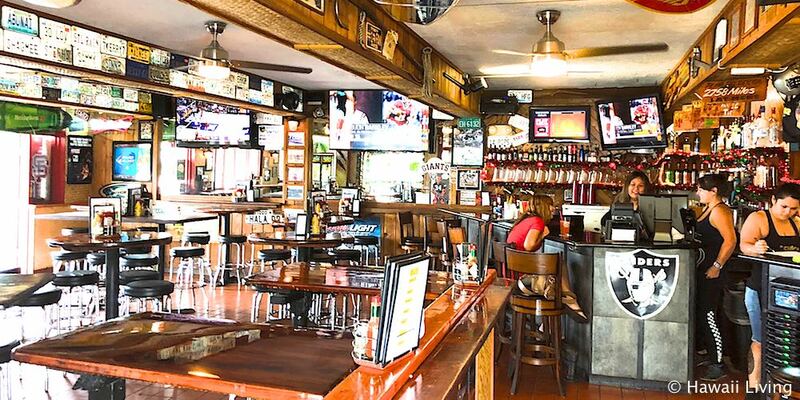 The Shack, a casual sports bar across from Enchanted Lake Shopping Center, has been in Kailua for years. When we say casual, we mean casual. It’s got a dive bar, sports bar feel with wooden picnic tables, paper napkins, and lots of fried food, but that’s why people love it. It can get crowded and loud, especially during football season when the games are on, but finding a table on the lanai outside helps with the noise. The menu features a wide selection of burgers and sandwiches, buffalo wings that many consider the best on island, and zukes (deep-fried zucchini). It’s great bar food to pair with drinks and any of the games they’ve got going on. Happy Hour is everyday from 3:00-6:00pm with special pricing on draft beers, cocktails and wines that range from $2.75 to $5.75. In addition to happy hour, there are daily food and drink specials, like $1 off burgers all day and $1f off the bar all night on Tuesdays and $2.75 draft beer on Thursdays after 6:00pm. Check out the website for a full list of specials. Uahi has been a Kaiua favorite since opening ten years ago. 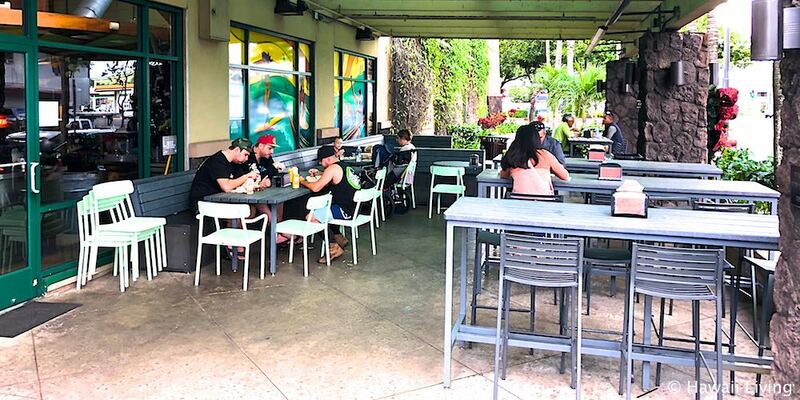 They’ve moved a few times, and are now in their largest location yet, with a spacious indoor dining area, covered outdoor lanai, and a full indoor/outdoor bar. They’re known for flavorful dishes that meld island flavors with local produce, fresh fish, sauces and dressings made in house. Uahi offers happy hour drink specials everyday from 3:00-6:00pm at the bar. Enjoy discounts on select beer, house wines, and cocktails including the Uahi Mai Tai. 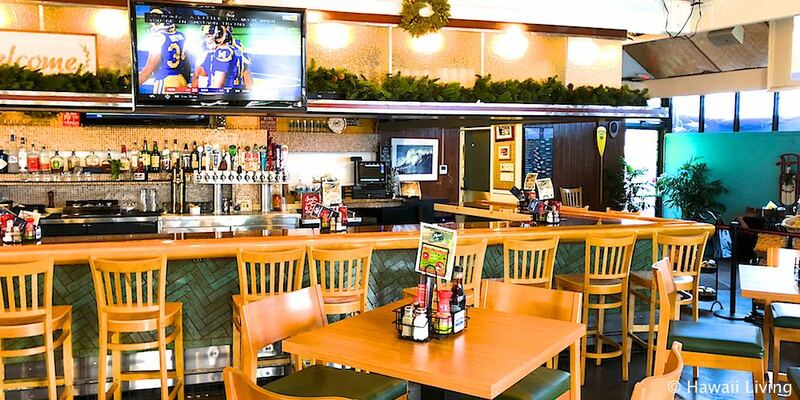 The Windward Bar is a casual place to grab a quick meal or drink, and is also a popular spot to watch a game and hang out with friends. They have 24 beers on tap, including many local and craft beer selections, wines and cocktails. Order food off the menu, pick up a plate at the salad bar/hot bar or deli in the store and eat it here. There’s an indoor and outdoor seating area and seating at the bar as well. Happy Hour is Monday – Friday from 4:00-6:00pm, when select beers are $3.00 (specials change daily) and select wines are $4.00 a glass (usually a Chardonnay and a Cabernet Sauvignon). There are also reduced prices on food items including french fries, edamame, and slices of cheese, pepperoni and vegan pizza. It can get busy here, especially on Thursdays when the Kailua Farmers Market is held next door, but it’s a fun, social scene with a great vibe. With Kailua’s small town feel and close-knit community, wherever you end up, you’re likely to run into someone you know – even if you’re just in town for a short visit. The town’s laid back, beach vibe means that nothing is formal. 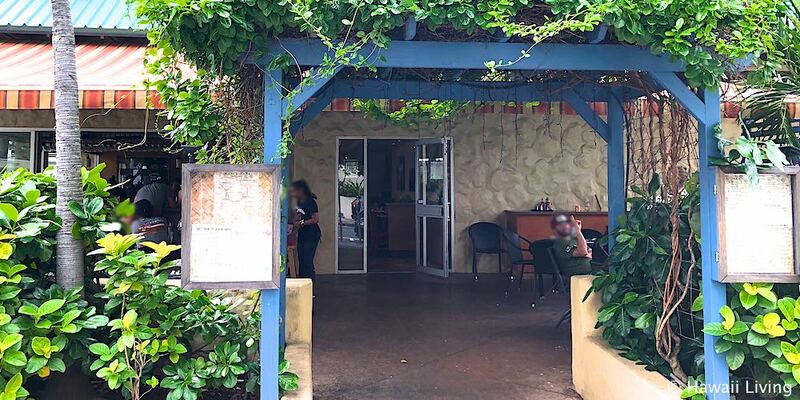 Fancier, more intimate places can be found on the South Shore, but for a relaxing happy hour where slippers are an acceptable part of the dress code, Kailua has some amazing options!